Your habit trackers can be incredibly simple – just simple check boxes that you fill out, or they can be something more decorative like color by number images or mandalas. The beautiful thing about bullet journals is they can be whatever you want them to be! Habit trackers can be set up for whatever period of time you want as well. 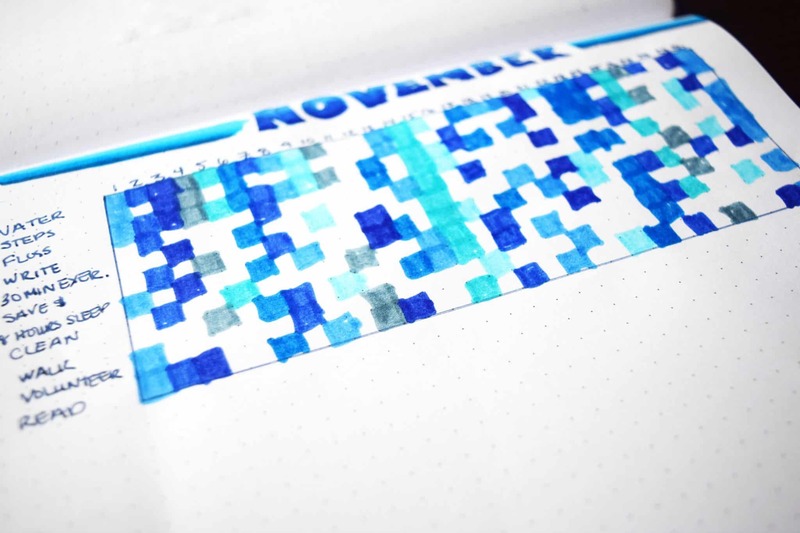 Depending on what you want to track, you may want to have a few different habit tracker layouts in your bullet journal. Weekly habit trackers give you a good idea of how you’ve done in a weeks time which can be great for short term goals or getting a better look at how you’re doing day to day. Monthly habit trackers give you a bigger overview of behavior and habits. They let you get a better look to see if you can figure out patterns – super helpful if you’re habit tracking in order to figure out a health issue or make sure you’re keeping up with something important. Yearly habit trackers are perfect for things that aren’t frequent enough to watch on a weekly or monthly basis, things like oil changes for your car or bill payments. Wish you had even more things to keep track of? Try this list of bullet journal collections. Budget Bullet Journal Supplies That Are Amazing and Affordable!